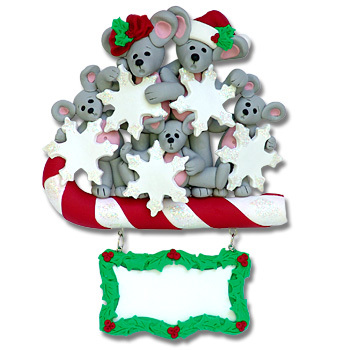 This Merry Mouse Family is having a grand time playing on a candy cane. This ornament is perfect for a family of 5. Very Festive with a touch of glitter for that holiday sparkle!